Resilience is the magnitude of disturbance that can be tolerated before a socioecological system (SES) moves to a different region of state space controlled by a different set of processes. Resilience has multiple levels of meaning: as a metaphor related to sustainability, as a property of dynamic models, and as a measurable quantity that can be assessed in field studies of SES. The operational indicators of resilience have, however, received little attention in the literature. To assess a system's resilience, one must specify which system configuration and which disturbances are of interest. 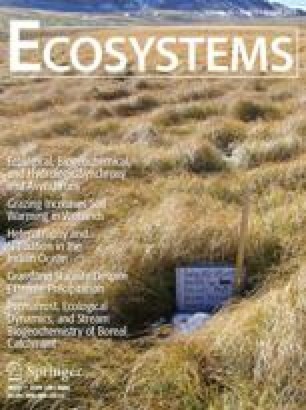 This paper compares resilience properties in two contrasting SES, lake districts and rangelands, with respect to the following three general features: (a) The ability of an SES to stay in the domain of attraction is related to slowly changing variables, or slowly changing disturbance regimes, which control the boundaries of the domain of attraction or the frequency of events that could push the system across the boundaries. Examples are soil phosphorus content in lake districts woody vegetation cover in rangelands, and property rights systems that affect land use in both lake districts and rangelands. (b) The ability of an SES to self-organize is related to the extent to which reorganization is endogenous rather than forced by external drivers. Self-organization is enhanced by coevolved ecosystem components and the presence of social networks that facilitate innovative problem solving. (c) The adaptive capacity of an SES is related to the existence of mechanisms for the evolution of novelty or learning. Examples include biodiversity at multiple scales and the existence of institutions that facilitate experimentation, discovery, and innovation. Key words: resilience; resistance; stability; persistence; socioecological system (SES); lake districts; rangelands; sustainability; self-organization; adaptive capacity; adaptive cycle. Received 20 March 2001; accepted 6 June 2001.